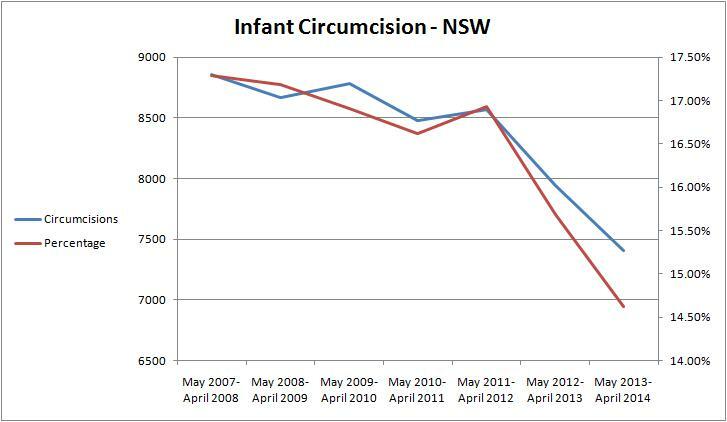 The infant circumcision rate in New South Wales has been declining in recent years, despite contrary reports in the Sydney Morning Herald. As the following graph shows, the rate has dropped from 17.29% in the year to 30 April 2008 to 14.62% for the year to 30 April 2014. This equates to a relative drop of 15.44%, or 2.67 percentage points. 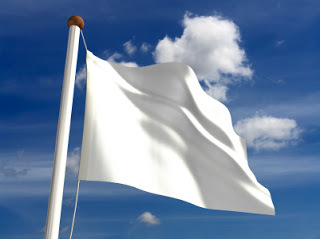 Those behind the recent Sydney Morning Herald article have simply cherry picked the years to suit their agenda. The change during their selected period is likely due to changing demographics in Sydney in particular, rather than any change in sentiment towards unnecessary genital alteration of children. It was once common for doctors to tell parents that babies don’t feel pain, in an attempt to make them feel more comfortable about circumcising their baby boys. If any parents still believe this nonsense I ask them to pinch their baby, really hard, and see what happens. Not once has any parent actually tried this. Why? because they know it will hurt him. So why would anyone believe that slicing off one of his most sensitive parts with little or no pain relief be any different?